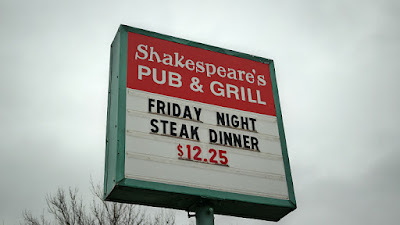 I had known about Shakespeare's for a long time, its been serving locals and townies on the East Side of Iowa City forever. 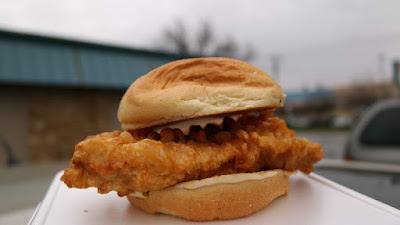 Isn't it crazy how the dive bar on the east side with the busy parking lot seems to have the best tenderloin I've found in Iowa City. 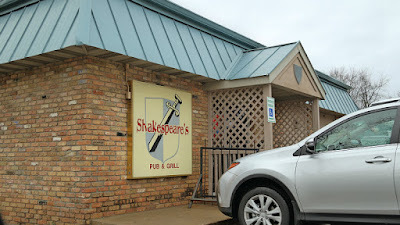 I have a couple more places over here to check out since I never made to to Iron Hawk before they closed last year. Directions:I always get lost on this side of Iowa City, Shakespeare's is just a few blocks north of the old mall. Online at: website is HERE. 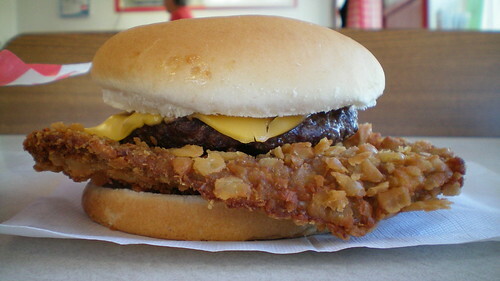 The Tenderloin: The meat inside was a thick cut of soft white pork loin. The batter formed a thick and crispy layer that included many pieces that stuck out for extra crunchiness. There was one little dark spot in the meat that I hope doesn't appear on other sandwiches they serve. 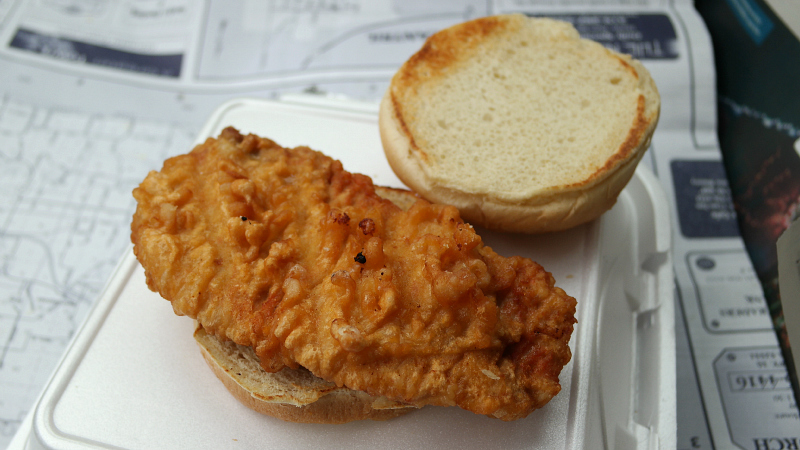 This reminded me of battered loins from The Elms Club in Creston or Gramma's Kitchen in Walcott. Served on a very soft toasted bun with your choice of fixings. This was a nicely battered loin Overall 8.2 out of ten. Also on the menu: There are daily specials and the menu is bar food like burgers, sandwiches, and fried appetizers. Service: There is bar service with wait staff slowly working through the crowded room. Ambiance: the pub describes itself as an "East side watering hole", and the interior is dark with beer signs and a pool table and the bucket seats at the bar felt like they were decades old. I appreciate the font on their sign. Final Thoughts: Blow, blow, thou winter wind. 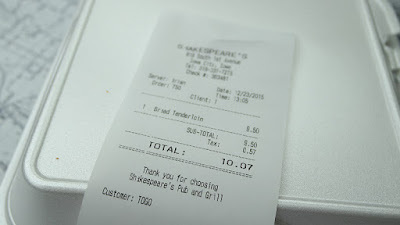 Thou art not so unkind, As man's ingratitude.